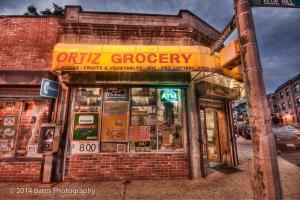 I photograph bodegas at twilight using HDR techniques. 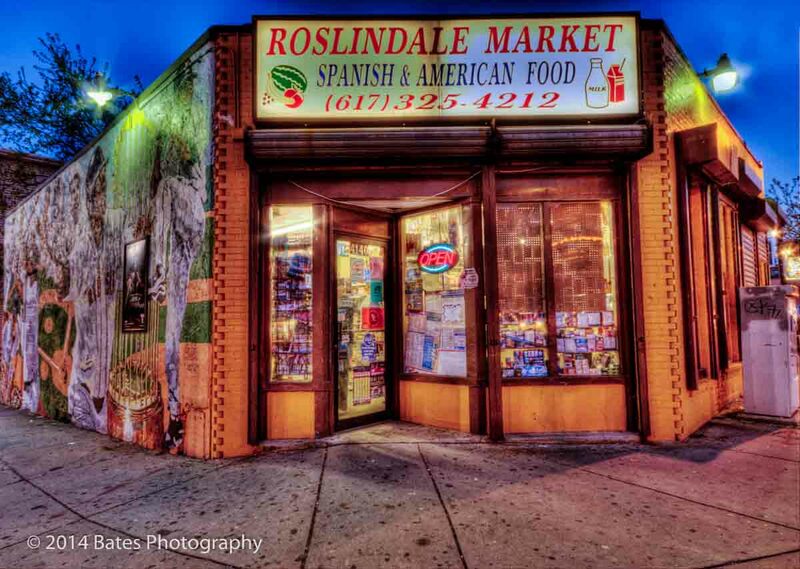 HDR photographs of bodega buildings in New England. These photographs were taken during "blue hour," AKA civil twilight, the period of time roughly ten minutes after sunset. It lasts about thirty-five minutes in many locations. 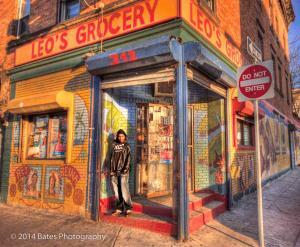 The Lost America Blog is the blog of creative photographer Troy Paiva. 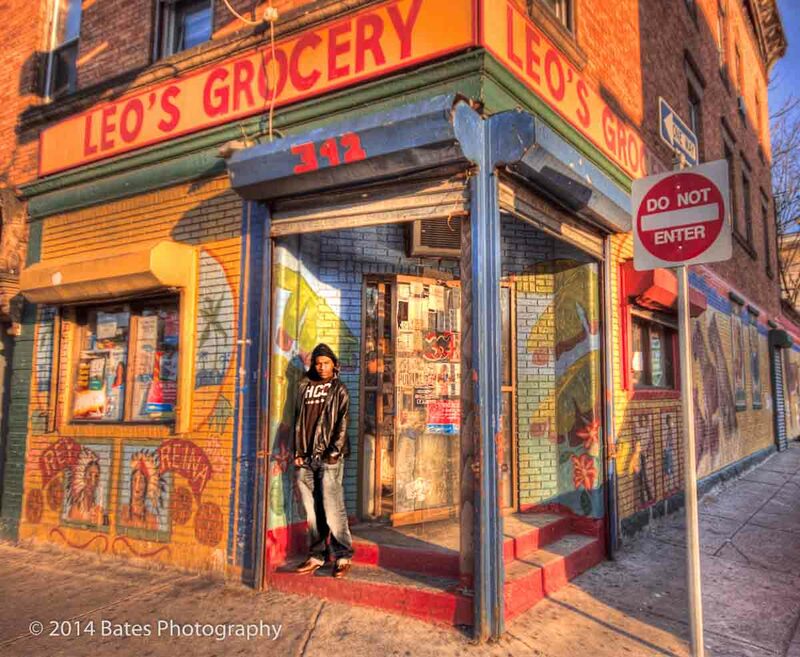 Stuck in Customs is the extraordinary web site of HDR photographer Trey Radcliffe. 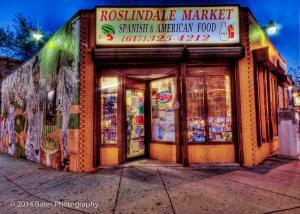 © Peter Bates and The Bodega Project 2010. Unauthorized use and/or duplication of this material without express and written permission from this site’s author and/or owner is strictly prohibited. 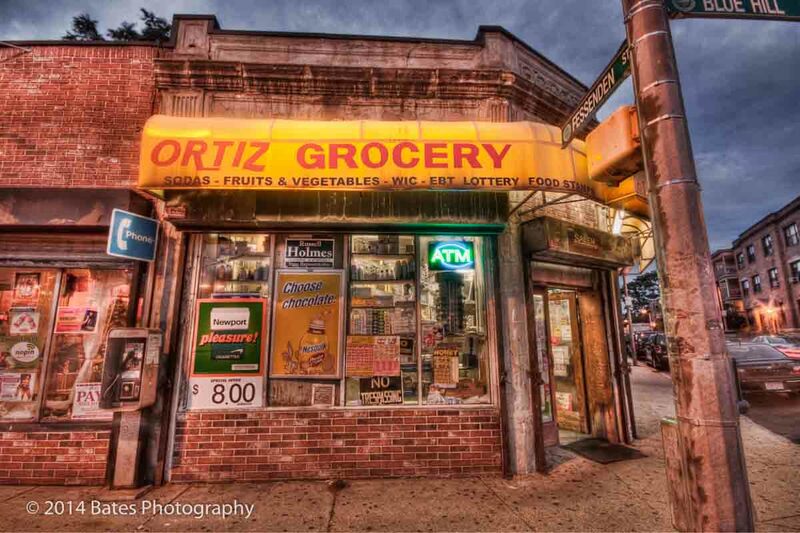 Excerpts and links may be used, provided that full and clear credit is given to Peter Bates and The Bodega Project with appropriate and specific direction to the original content. It’s all about that disembodied head. 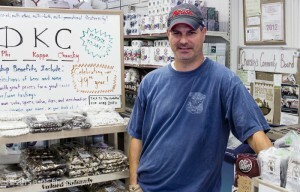 Doug Labb, after initially “staying in the background,” warmed up and told me about his store: his plans to expand into prepared foods and a kitchen, his community ties, and his work techniques, such as the way he “steals [design] ideas” from shops as far away as Australia. He also revealed his struggles with the city to put up an awning, one that would shield the store from the summer onslaught. The city delayed the permit for eighteen months. 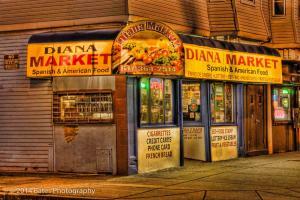 The Brighton-Allston Historical Society (Aberdeen District) wasn’t convinced that the store should even have an awning. Eventually, the permit was issued. 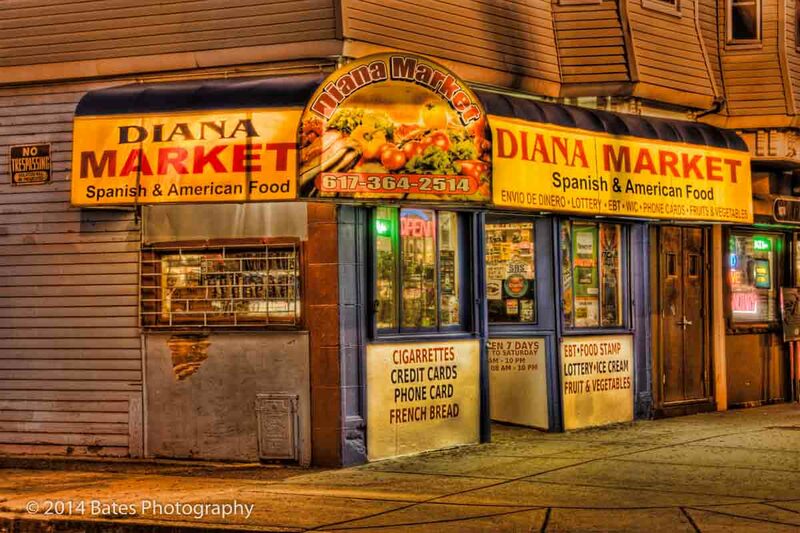 Now the store has a distinctive and mysterious portrait on that awning. So who is it? 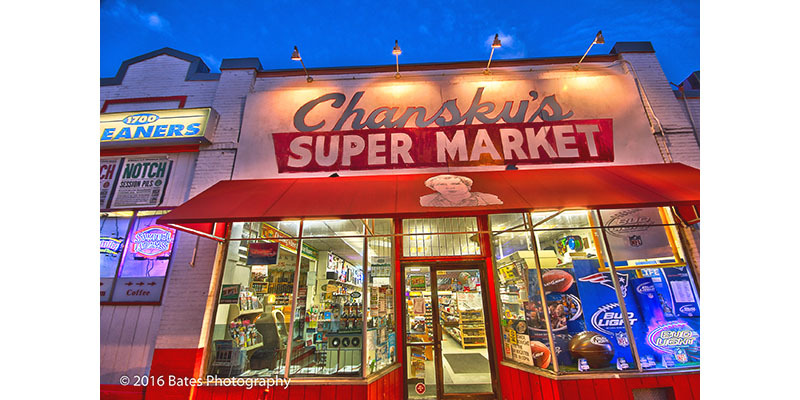 It’s not Mr. Chansky, the original owner of the store many years ago. It’s the previous owner, Doug Labb’s father Paul. Apparently Paul, while vacationing in San Francisco, had a street artist paint his picture. Doug liked it so much he hired a sign painter to reproduce it for the new awning. In solving this mystery, I received more information than I’d sought and got a free T-shirt adorned with Paul Labb’s visage. Peter Bates is a writer and photographer living in Florida. He is the administrator of this blog and runs the blog Stylus. Love this! There is so much history and there are so many stories around us on the streets and corners of our neighborhood or the places we work. We pass things every day. Sometimes we don’t notice things until they are gone. Landscapes tell narratives; we just have to stop and look and listen and think. Thanks Stephanie! I really appreciate your comments.